﻿ Actor Farley Granger died in New York on Sunday at age 85. He'd begun his career in Hollywood under contract to Samuel Goldwyn and made his first film, The North Star, in 1943. Five years later he worked for the first time with Alfred Hitchcock on one of the director's most interesting exercises, Rope (1948), co-starring James Stewart and John Dall. 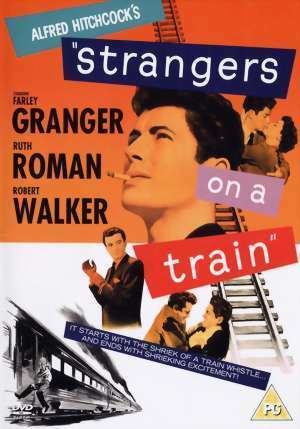 In 1951 he again worked with Hitchcock and it is for this film, Strangers on a Train, that Granger is best remembered. The actor later left Hollywood to work on the New York stage; in 1986 he won an Obie Award for his performance in "Talley & Son." Though Farley Granger is not the specific focus, I'm posting this previously published reflection on Strangers on a Train in tribute to his life and career. It was the middle of the 20th Century and Alfred Hitchcock's last major film had been Notorious (1946). Four years and four films later, he seemed to be drifting. 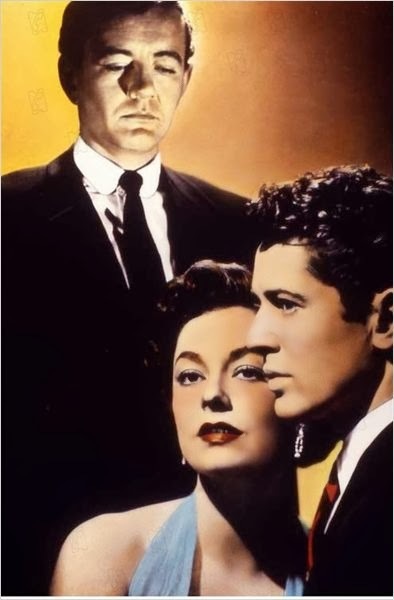 Though The Paradine Case, Rope, Under Capricorn and Stage Fright were all interesting attempts, only underrated Stage Fright was successful, but it was not major box office. Raymond Chandler was tapped to tackle the screenplay, though Czenzi Ormonde, a protege of Ben Hecht, rewrote most of it. Cinematographer Robert Burks collaborated with Hitchcock for the first time and earned an Oscar nomination for his efforts. He was nominated again for Rear Window and won for To Catch a Thief. Dimiti Tiomkin, who had last worked with the director on Shadow of a Doubt, composed the dramatic score. Hitchcock produced and directed for Warner Brothers. 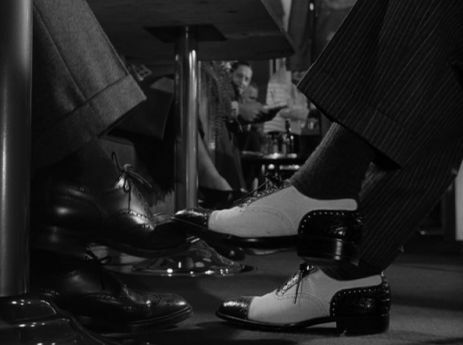 A virtual case study of Hitchcock's technique, Strangers on a Train bears all the hallmarks of his style. There are spectacular set pieces, among them - an intense tennis match cross-cut with scenes of a killer's harrowing journey to plant evidence and a carousel sequence that sweeps to a terrifying climax. Prominent historical sites appear; Washington, D.C., landmarks are woven into the scenario, with the Jefferson Memorial in a stark cameo. There is an "innocent man accused" and a powerful doppelganger motif. Though there are no marquee names, the cast is solid: Farley Granger as handsome, nearly guileless and beleaguered tennis star Guy Haines and Laura Elliott (Kasey Rogers) as his trampy estranged wife, Miriam. Marion Lorne stands out as the discombobulated mother of a killer, Leo G. Carroll appears as a U.S. Senator and Patricia Hitchcock has one of her best roles as his quirky younger daughter. The bold, unforgettable performance of Robert Walker as unhinged Bruno Anthony is proof of that rule. Remarkably, Walker had mostly been cast as boy-next-door types up till then. Like Joseph Cotten's Uncle Charley in Shadow of a Doubt, Walker's Bruno is a glib, self-possessed charmer who is also a remorseless killer. Walker is riveting onscreen. His Bruno is confident, slick, erratic...and very unsettling. His smooth veneer barely masks a simmering rage. With a voice that slides from sensual as velvet to cold and hollow as tin, his eyes glitter, glare, caress. Walker died tragically at age 32 less than two months after the film was released. He had appeared in more than 30 films in his career, but it was Strangers on a Train that allowed him to reveal the devastating range of his talent. Robert Walker's life had been short and often troubled, but it later became clear that he had a bit of good fortune after all; his greatest role, a virtuoso performance, was preserved in one of Alfred Hitchcock's finest and most popular films. British film critic and historian David Thomson noted in a 1999 Hitchcock centenniel article on Strangers that Walker's was "...a landmark performance. You see it now and you feel the vibrancy of the modernity...he had had that one chance..."
Eve, I was caught totally off-guard when TCM ran Farley Granger’s In Memoriam montage earlier this morning (the music never fails to bring tears to my eyes). I had not heard of his passing and this is genuinely sad news. I think it could be so easy to overstate the obvious regarding his talent; perhaps at moments such as this words are superfluous, however he was equally comfortable in roles that required him to display a depth of character as well as an ambiguous malevolence. 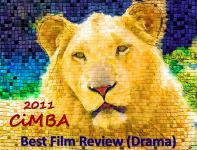 Your review of his best-known role and film is a fitting tribute to the actor and the man. Rest in peace, Mr. Granger. Criss Cross forever!I always thought that Guy lead Bruno on just a teeny-tiny bit. Thanks for a great post. Perfect idea for remembrance of Farley Granger...his best film and best role. It was pretty hard to hold his own with the incredible Robert Walker's performance in this movie, but Granger managed it. Thank you for this tribute, Eve. This was such a nice write up and the perfect tribute to Farley Granger in his most memorable role. We've lost some amazing Hollywood talent over the past few weeks. That is truly sad. Granger was the perfect dupe for the deranged Robert Walker. An intriguing film filled with so many great moments,and it remains one of my many, many favorite Hitchcock films. Farley Granger was perfect as the decent "Guy" caught in a web. 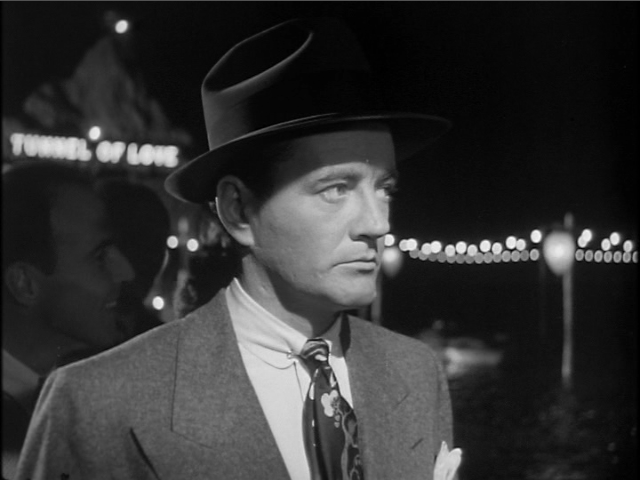 It's hard for me to think of a more memorable villian than Robert Walker's deliciously twisted Bruno. And could there be a more inept, in-over-her-head mother than Marion Loren for such a monumentally dysfunctional family? Hitchcock's wicked sense of humor was at play throughout "Strangers On A Train". I can't imagine this film or these performances ever coming off dated - and Robert Walker definitely finished on a glorius note. I always enjoy watching Hitchcook's daughter in that film. Terrific review. Granger certainly held his own opposite Walker, and he did so by creating a character with a quiet unease. His two films with Hitchcock were highlights in his career. "Strangers" is one of my very favorite Hitchcock films. Grabs viewers early - even as the two pairs of feet, sets of luggage, etc., make their way to the train - and holds them right up to the crashing merry-go-round finale. I thought Granger and Walker performed wonderfully together, with Granger playing Guy cocky, ambitious but still a bit provincial to Walker's relentlessly scheming, sometimes charming Bruno. 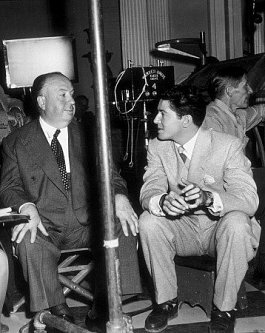 I've read that Hitchcock already had spotted Grace Kelly and wanted her to play Anne, but that the studio insisted on Ruth Roman. Roman isn't outright bad in the role, but she seems older and more brittle than is warranted, I think. I'm sure Farley Granger would love all the kudos he's been getting, he was earnest about performing, but modest about his own talent. great post...STRANGERS was a career high point for both GRANGER & WALKER...one of the best of HITCHCOCK...unfortunately, a little too cerebral for the average joe six-pack!! Eve, I loved your affectionate, spot-on tribute to Farley Granger and STRANGERS ON A TRAIN, one of my favorite Hitchcock movies! There's not much I can add to the good points everyone else made, but I wrote a blog post about STRANGERS... back in October 2010, if you're interested (see link below). R.I.P., Farley, and thanks for the hours of enjoyment you gave us onscreen and onstage -- and thank you, Eve, for your terrific blog post about this justifiably classic film! Eve, What a wonderful tribute to a man who loved to laugh.